Our Surrey Straight Smile Centre dentists will help you determine if Invisalign is the right choice for you. Contact us via the form below to book your complimentary initial consultation. Why choose Straight Smile Centres? At Straight Smile Centres, our general dentists are experienced Invisalign providers who are dedicated to guiding our patients down the path to healthy, beautiful smiles with Invisalign. Interested in how Invisalign can help you smile your best smile? 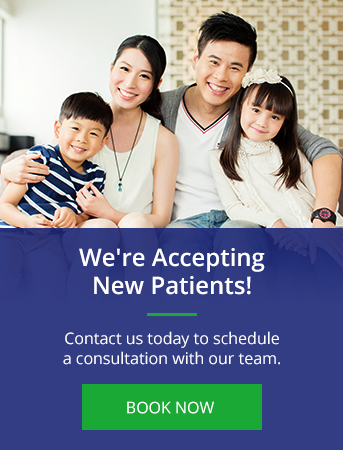 Fill out the form on this page to book a consultation with our team! At your initial consultation, Dr. Lertruchikun will conduct an examination of your smile and determine if Invisalign is the right treatment option for you. If you are a good candidate, we will develop a detailed treatment plan for your unique smile, and provide you with an Invisalign cost estimate. The team at Clover Hills Dental will help you achieve the bright, healthy smile you deserve. Copyright © Clover Hills Dental 2016-2019. All Rights Reserved.